Electrochemical analysis is one of the most frequent and demanding tasks in daily lab routines. Sartorius understands that measurements will differ based on compositions, temperatures, conductivities and viscosities of samples and it is these different conditions that set our electrodes apart from the rest. 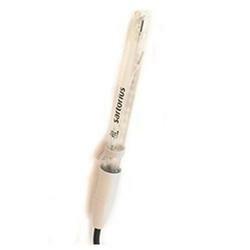 Whether for ultrapure water, jam, wine, TRIS Buffers, or drinking water, Sartorius has the right superior and dependable electrode for your sample types and application workflows. Unique platinum junction and refill port slider and evaporate gate for easier refilling and less evaporation of the electrolyte with air flush cap system prevents clogs from forming. Integrated and non-integrated temperature sensor ATC or with ATC with universal BNC connectors. TRIS Compatible and Impervious models available for Biological applications. The widest selection of choice. 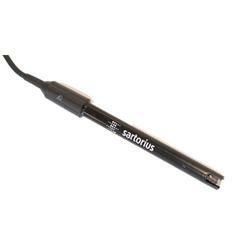 Now with the GoldLINE and PlatinumLINE electrodes, Sartorius will meet any and all of your unique sample types and application requirements. The highest quality materials result in better precision and accuracy. The low resistance type A glass membranes are a perfect example of where quality materials interact with samples with less interference. Conductivity cells are used for the conductivity measurement of fluids, such as pure and ultra pure water. Epoxy Bodies and graphite electrodes feature the highest grade of robustness and long-term stability and offer the widest measuring range. The conductivity measuring cells are suited for temperature measurement and are equipped with automatic temperature compensation. Cells offer a high degree of precision, diversity in wider measuring ranges. Cell geometry design address and minimize polarization effects with difficult sample types. Smart design mitigates measuring error from cable interferences, polarizations effects, air bubble and vessel influences. Dissolve Oxygen Sensors - Galvanic technology allows scientist to determine dissolved oxygen that is present in virtually in all liquid samples. Liquids absorbs oxygen until the partial pressure of oxygen in the liquid is in equilibrum with the air or gas in which it in contact. 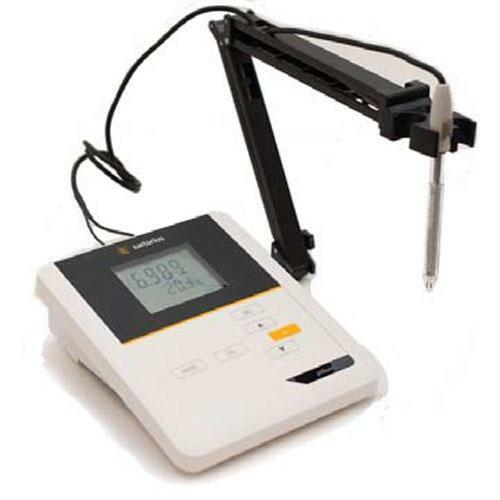 Dissolved measurement are dependent on temperature, air pressure, oxygen consumption by microorganisims and biodegradations and and oxygen production by algae. Galvanic sensors offer the benefits of reduced polarization time prior to measurement with preassembled membrane caps and built-in integrated temperature compensation. Ultimately unique features of Galvanic DO reduces prep step errors such as membrane installation. 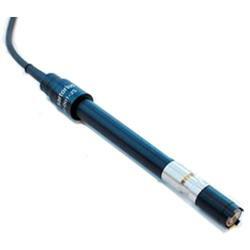 Galvanic Dissolve Oxygen Sensor is a membrane covered galvanic system are ready for immediate measurement. Membrane durability and longevity, high signal resolution with rapid measurement response, waterproof IP68 includes calibration vessel. 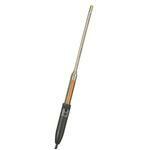 Superior Sensor give you Precise Results. Electrochemical analysis is one of the most frequent and demanding tasks in daily lab routines. Sartorius understands that measurements will differ based on compositions, temperatures, conductivities and viscosities of samples and it is these different conditions that set our electrodes apart from the rest. Whether for ultrapure water, jam, wine, TRIS Buffers, or drinking water, Sartorius has the right superior and dependable electrode for your sample types and application workflows. PlatinumLINE is our most robust and diverse electrode family that offer variety of electrode typse to fit all your unique sample types with superior construction, dependable designe and accurate performance. The widest selection of choice. 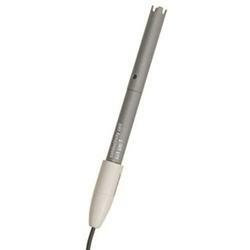 PlatinumLINE electrodes Sartorius will meet any and all of your unique samples types and application requirements. Patented junction set sensors apart from the rest. Reduce and/or eliminate metal ion contamination and chelation. Ultimately minimizes damage to sensors, elongating the life of the electrodes, saving time and money. Increase productivity and mitigate faulty measurements. The highest quality materials result in better precision and accuracy. The low resistance type A glass membranes are a perfect example of where quality materials interact with samples with less interference, yielding both speed and accuracy. Liquid electrolyte electrodes with unique platinum junction and refill port slider for easier refilling and less evaporation of the electrolyte. Air flush cap system prevents clogs from forming. Individual serial number on each electrode for clear identification. Flexibility and convenience. 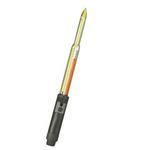 Electrodes are available with integrated temperature sensors (ATC) or we have a separate temperature probe. TRIS Compatibility and Impervious models available for Biological applications. Need a dependable and reliable electrode that will performance with excellent price to performance ratio.EconoLINE gives you flexibility to recieve low matienance, easy to use electrode that is economic when it come time to replace. GoldLINE Electrodes Superior stable results due to patented three chamber Iodine/Iodide metal-ion free reference system that lower temperature sensitivities and provides a metal ion free reference system ideal for Pharma abd R&D grade application. The unique three-chamber reference system is more stable with a metal-free iodide | iodine reference system compared to our excellent Ag/AgCl reference system found in our PlatiumLINE series. 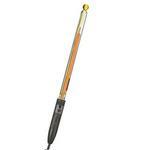 GoldLINE not only offers unbeatable stability and faster response times but higher accuracy and precision. Accelerated performance is attributed to the advanced patented reference technologies and superior glass and reference materials & construction. The GoldLINE is a superior sensor that gives precise results allowing for independence from sample contamination with minimal temperature influences. Patented junction and three-chamber systems set sensors apart from the rest. Reduce and eliminate metal ion contamination and chelation. Minimizes damage to sensors elongating the life of the electrodes, saving time and money as well as increased productivity to mitigate faulty measurements. GoldLINE electrodes have a lower temperature sensitivity, reducing the drastic influences temperature variants can have on pH measurement, thus producing more precise results. Exchangeable bridge electrolyte enables one to match the internal electrolyte to their sample for better measurements. Speed and response time is quicker due to stability of reference exchange, system and damping of temperature influences and the reduction of metal or precipitant contamination that can occur with other electrodes.